Hardly a month has gone by and Tom is back, this time getting his General License. 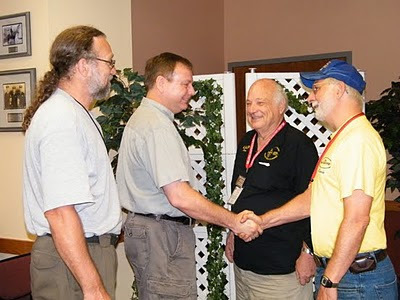 Pictured left to right is Bill KJ4IAI, our new General Tom KJ4WFS, Jim AI4LE, and Ernie KG4YNI. Could there be something Extra in the near future for Tom? Standby one.